A truly unforgettable experience; face to face with manatees in the blue waters of the Caribbean! These large marine mammals capture our affection with their docility in an emotional close encounter. And after this magical adventure, more fun awaits us in the wonderful Chankanaab Park. Our excursion starts when we take a taxi accompanied by our Costa guide to go to the fantastic Chankanaab Adventure Beach Park, which is situated in a natural reserve, where the flora and fauna are unspoiled and protected. A pleasant walk going past sparkling fountains and waterfalls takes us to Dolphin Discovery Cozumel, the world's biggest dolphinarium, overlooking the blue Caribbean sea. A briefing with the trainers prepares us for our magical encounter with the manatees. This is a great opportunity to learn more about these extraordinary creatures and to appreciate to the fullest extent the emotional trip that we are about to experience. And now it is time to meet our friend the manatee! Wearing a life vest we enter the water on a submerged platform with water up to our waist. 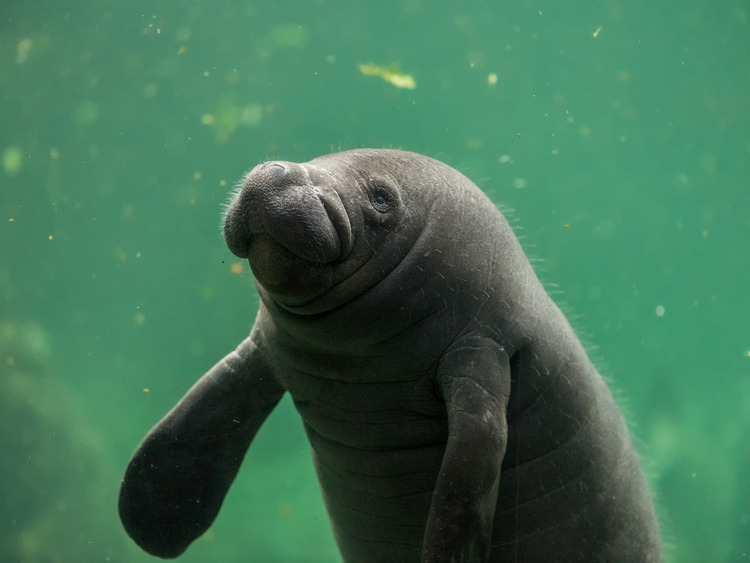 A lively and playful manatee swims around us and we start to interact with it. Manatees are among the most gentle marine mammals in the world and during our magical encounter we have the opportunity to stroke them, kiss them and hug them. Their trainers let us feed them and we can observe their graceful movements under water. We say goodbye to the gentle manatees and move on to the Sea Lion Show. These born entertainers will sing, dance and jump about in a show that lasts about 20 minutes. This leaves us with time to explore other wonders of the Chankanaab park, Cozumel's most popular attraction. We can go snorkeling to see from close quarters the very colourful fish swimming in the blue sea where the park's splendid coral reef lies. Nature lovers and those who love peace and tranquillity can visit the beautiful lagoon, a natural aquarium surrounded by lush vegetation, or the botanical gardens, where we find enormous flaming red heliconias and other spectacular tropical plants interspersed with interesting replicas of Mayan ruins. The park also offers other amusements for the enjoyment of all such as the Tequila Village where you can taste Mexico's most popular drink, the crocodile enclosure or the Mayan SPA where we can try the traditional ritual steam bath. Those who wish to do so, can have lunch at their own expense at the "The Dolphin View" restaurant where a rich Mexican buffet is served. After the visit we return to the ship by taxi. This is an animal encounter programme and not a swimming activity. Do not forget to bring swimwear and a beach towel. The minimum age to participate is 1 year and the minimum height permitted is 1.20 m.
Pregnant women can participate up to the 5th month of their pregnancy and must sign a specific liability release form. Video cameras and cameras are not allowed in the dolphinarium; professional photographers will take photos during the excursion.